Wow, wow, WOOOW! You always create the best journals, but this one tops the rest! I really love the butterfly theme and all of your wonderful textures! 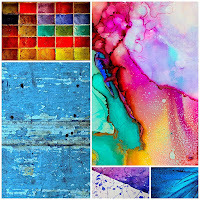 Great collages of paper stash and textiles! And those zippers on the spine! Just wow--how incredibly creative you are! Thank you for sharing this with us at A Vintage Journey! Hugs! I am a big fan of your books Wiola, and I love 7 Dots Studio :) So it´s a perfect combination! 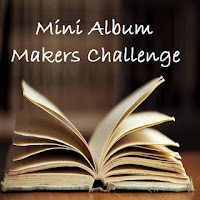 Thank you for sharing with us at Mini Album Makers! Simply beautiful - love everything about it. I especially like how you used the zipper on the hinges. Each page is a work of art. Thank you for joining us at A Vintage Journey. Be still my heart! That cover and those pages are absolutely amazing. I love everything about this journal. Thanks for sharing your talents on Mini Album Makers. Thank you for playing with at Lemoncraft challenge! An absolutely stunning journal - so happy to see you joining in at A Vintage Journey this month. Congrats on your Pinworthy win at A Vintage Journey - could you please send me your email address for the badge.